Premier Prints Vertical Ebony Outdoor fabric. 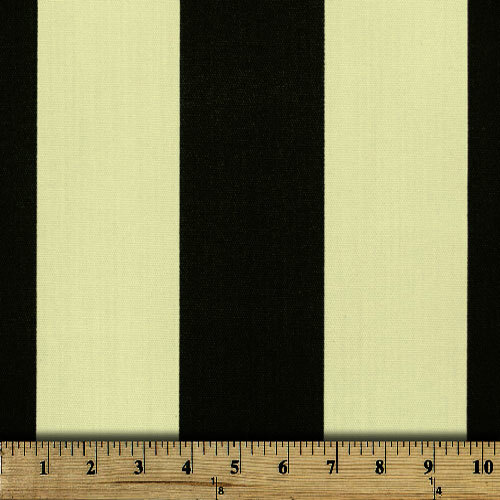 Black and ivory striped outdoor fabric. This fabric has been treated for outdoor use. This great indoor/outdoor fabric is mildew, stain and water resistant. It is perfect for outdoor settings and indoors in sunny rooms. It is fade resistant up to 500 hours of direct sun exposure. Create decorative toss pillows, chair pads, slipcovers, placemats, tote bags.